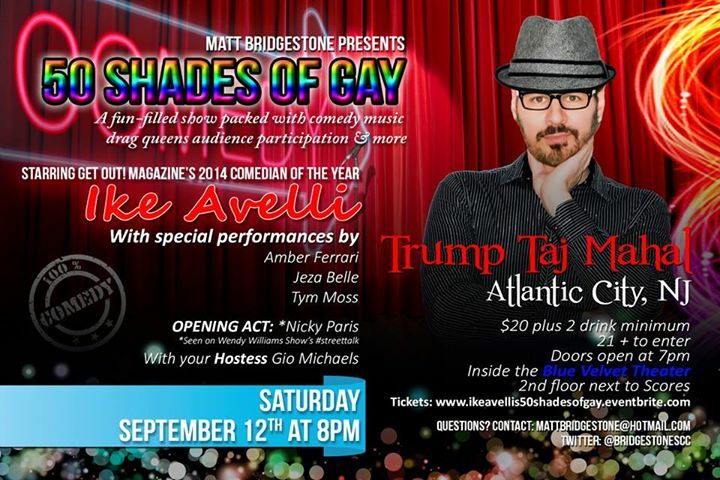 After a sold out show in September, it became official that Jeza will be returning to Atlantic City’s Trump Taj Mahal for an encore performance in Comedian Ike Avelli’s “50 Shades of Gay” on Halloween. Full cast includes: Ike Avelli, Tym Moss, Gio Michaels, Nicky Paris, Chris Williams, and Jeza Belle! 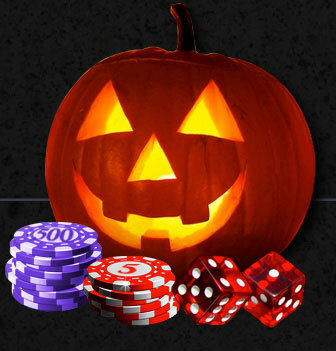 Check out the info here for tickets and hope to scare you there! After bringing down the house in New York City on Gay Pride Weekend, Comedian Ike Avelli is taking his 50 Shades of Gay show on the road to Atlantic City, and Jeza Belle is thrilled to once again be a part of the fun! The Taj Mahal Casino’s Comedy Crapshoot in Blue Velvet Theater in Atlantic City Presents Ike Avellis “50 Shades of Gay.” A hilarious comedy variety show which includes elaborate costumes, hysterical musical numbers, and laugh out loud audience participation. Also Starring Jeza Belle, Amber Ferrari, and Tym Moss. $20 in Advance. $25 at the door. The Blue Velvet Theater is on the 2nd floor next to Scores. Doors open at 7pm. Show at 8pm. You must be 21. There is a 2 drink minimum. Drink tickets are all $12 and can be used for top shelf. We also have half price bottle service. If you want bottle service or have any other questions just email mattbridgestone@hotmail.com. SATURDAY SEPT 12th.